Trying to narrow down just a few of the holiday highlights in Cornwall is a tricky task. We’ll start with the beaches, which are large and sandy and among Britain’s best. Explore jaw-dropping scenery, pretty seaside villages, incredible exotic gardens and a range of world famous attractions. There's a roll call of reasons why you should treat yourself to a caravan holiday. 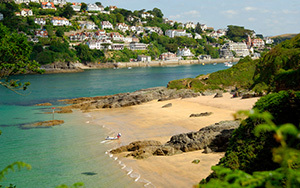 The region is home to some of England's best beaches and most popular seaside towns, the English Riviera sparkles with style, and there’s an array of attractions and historic homes to wow all ages. 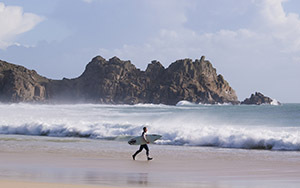 The north coast of Cornwall is dotted with beautiful beaches with exotic names. 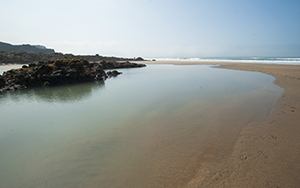 Newquay has Fistral and Lusty Glaze; Bude’s best are Summerleaze, (where there’s an open-air sea pool), Crooklets Beach and Sandymouth, and Perranporth has a two-mile stretch that is one of the best surfing locations in Cornwall. Devon’s brilliant coastline includes glorious sandy beaches such as Westward Ho!, Woolacombe and Saunton, to the rugged beauty of Hartland, where the coast points west to the Atlantic. 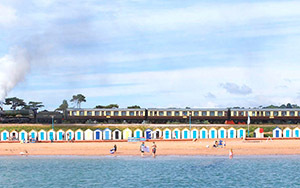 At Paignton, Devon's south coast, best beaches include Paignton Sands, Goodrington, Broadsands and Elberry Cove, and at Dawlish Warren Beach has golden sands, backed by dunes and lakes. 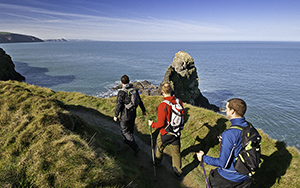 The South West Coastal Path is England’s longest footpath, stretching along the coasts of Devon and Cornwall. 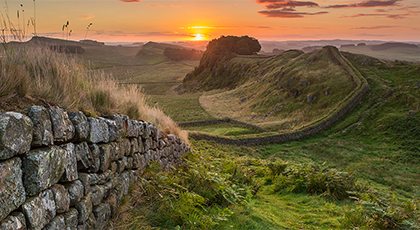 Along the way you’ll discover jaw-dropping cliff-top views, hidden coves and secret beaches, spot wildlife and wonderful plants, and see some of England’s ancient heritage, from spiritual sites to past industry. 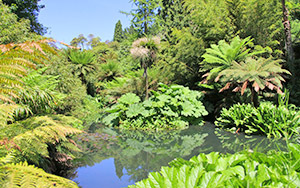 Cornwall has lots of exotic gardens, many of which are open for public viewing. Two of our favourites include the Lost Gardens of Heligan, which were overgrown until the 1990s, until they were cut back to reveal Victorian productive gardens, an Italian Garden and an exotic outdoor jungle, and the medieval gardens at Godolphin House, which have remained largely unchanged since the 16th century. 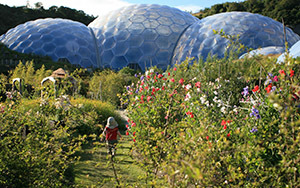 Of course, the daddy of all gardens in Cornwall is the incredible Eden Project, which brings together plant life from across the world in two giant bio domes. There's a rainforest and Mediterranean desert, plus a zip wire that flies guests across the site. 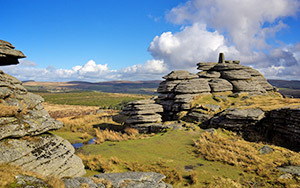 Devon has stunning natural environments including Dartmoor, Exmoor and the Taw Torridge Estuary. Forget wandering the moors to spot the Beast of Exmoor, you'll have much more success at Exmoor Zoo where two black leopards are the star attraction.